Mac Games > Match 3 Games > Pizza, Pizza! Pizza, Pizza! is rated 2.5 out of 5 by 37. Rated 5 out of 5 by TomKoenig from Hot and Tasty I liked the game very much and will probably get it. I like the way the story evolves and how you can upgrade your pizza shop with furniture, etc. Nothing new in the department of gamplay, but then again, do we Match Three-addicts really want a change in gameplay? Vision and Audio are Ok for this type of game. What sets it apart from others is the setting, which I personally liked a lot. Rated 5 out of 5 by ga_mer from Funny Match3 Game I like this match 3 game. It's another funny idea that has been implemented very nice. 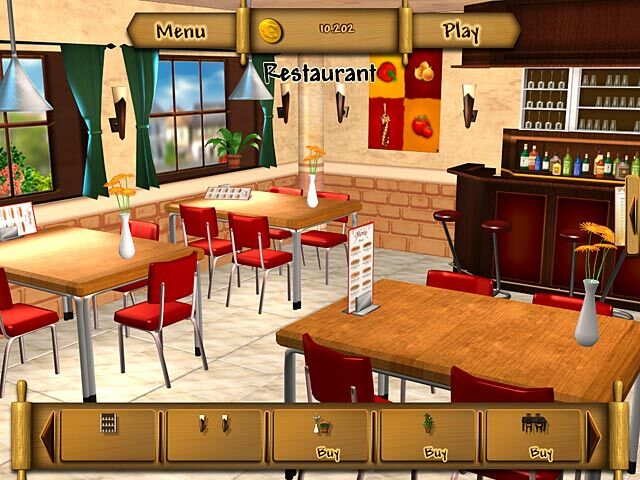 Especially the minigame, "bake" your customer a pizza with his favourite ingredients, I like very much. Also a nice idea, is that some fields are blocked in the game and they have to be unlocked by moving stones to build a triple row, with the stone which is located behind the locked field. But this is not a problem because the stones are clearly visible behind the locked field. With the points you earn you can buy furniture and decor for your Pizzeria. The more points you get the more expensive and higher quality equipment you can buy. A very funny match 3 game. Rated 4 out of 5 by Vanipain from pizza pizza I like this game pretty much. It gives me kind of an italian feeling. The music and the graphics fit togehter perfectly. It makes you feel like your an owner of a pizzeria or on holiday in italy at the same time. Very relaxing. 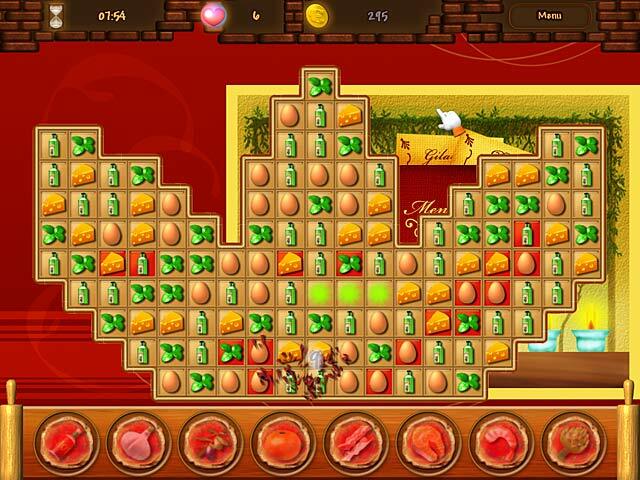 I also liked the way your ingredients improve and become tools during the game and the challenge with customers. A match3 game worth playing. 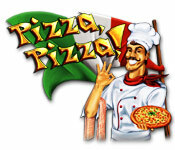 Rated 4 out of 5 by GaPiv from This Pizza is hot I really love Match 3 titles for leisure. This one is a very welcomed addition to my growing collection of Match 3 titles for the Mac. I love the idea of opening your own Pizza Store and decorating the whole Ristorante - would have been nice though, if you had more colours to choose from. The customers challenge is a nice addition to the usual gameplay and they seem to always pop up when things are already pretty hectic. So, if you are into Match 3 titles as much as I am, I can only recommend to open yopur own PizzaPizza! Rated 4 out of 5 by hansharz from Good game Nice 3 Match Game to play in the meantime. Graphics and sound are good. Rated 4 out of 5 by tacomataz from Ok Game Alltough i would not put this game at the top of my list, I would not put it at the bottom. I love Match 3 games and this is one I will get but I will wait until I have a free game coupon. The music is good, graphics are good and the game give lots of time to pass levels. This game is a good game if you want to pass the time. Rated 4 out of 5 by oceanlady45 from A Fun Game For Evening Good game for relaxing and challenging you at the same time. Rated 4 out of 5 by Rebr2009 from A classic match3 . You have to earn money to open your pizzeria and buy furnishings. For this you will play match3. 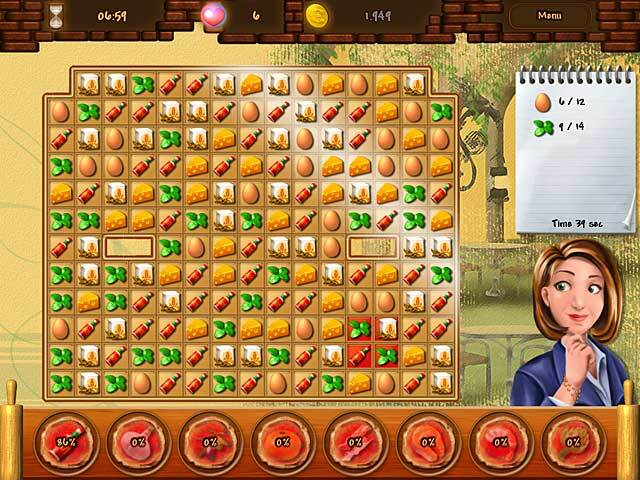 Besides destroying the marked tiles, appear "requests" as: 14 eggs, 11 flour, 14 cheeses, etc.. You earn money and lives. The game is timed and has 3 difficulty levels. Graphics are nice and colorful, music is very good. As fishdom, and others, you play to earn money, buy things and build a scenario. In this game is a pizzeria. Rated 4 out of 5 by chri0743 from Fun game to pass time I played the 1 hour trial to the end. I see myself as a neutral match 3 gamer, so i selected normal difficulty. Pros: - Simpel game - Lovely music - Cute grafics - A LOT of time to finish levels Cons: - Pretty homogenous (but that's normal for match 3 games) - Nothing really new - Somewhat small "screen" (I had to squint when the "board" became larger, and the objects smaller) I believe that this game is excellent for players who just wants to pass time without thinking, and for those who simply just love match 3 games. Rated 3 out of 5 by J4016C from It's Okay I have played a lot of Match 3 games. This one is okay to escape into a different world for a bit. I will buy this game only for this reason. Otherwise I am waiting for Big Fish to send a very challenging game in the future.